Frekinga technology is not new, not only in the world but also in Ukraine. Only in the year 2012 in our country, about 100 such procedures. This statement was made on September 26 the chief engineer for Shell’s drilling in Ukraine, Mikhail Gretzky at a conference in the framework of the "German Weeks in Ukraine" on "unconventional gas production in Ukraine: a welcome energy independence or a horrible ecological disaster" that took place in the National Academy of Sciences of Ukraine. 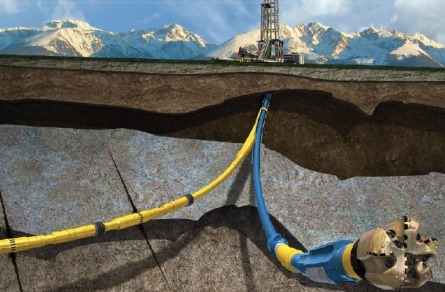 "Hydraulic fracturing — this is a common technique Ukrainian drillers, which aims to raise debit wells and is used in Ukraine since 1950. In 2012, on the territory of Ukraine, about 100 hydraulic fracturing, "- he said. The director of special projects SEC "Psyche" Gennady Ryabtsev confirmed the holding of the 100 procedures frekinga in 2012, but added that it does not apply to shale gas and associated with oil production. "100 fractures in 2012, held the company" Ukrnafta ", with regards to oil, not shale gas," — said the expert.